The councilman whose district includes Balboa Park said the downsized plans for this year’s centennial celebration set the right tone for San Diego. 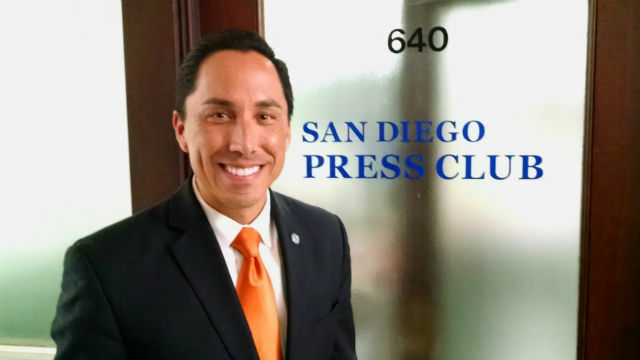 Gloria spoke to the San Diego Press Club at the professional organization’s first event of 2015. The event was held in the historic Spreckels Building downtown. 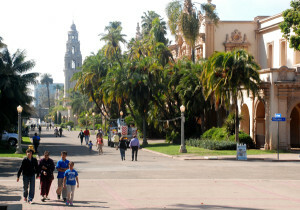 He acknowledged a “spectacular failing” by Balboa Park Centennial Inc., the group formed to produce a centennial celebration. The new plan started with December Nights and includes three other major seasonal events, but more importantly, according to Gloria, much needed long-term improvements for the park. “When we close the books on this effort … a significant amount of money will be spent. And those things are permanent,” Gloria said. He cited $64 million in public improvements to the park, including the Cabrillo bridge retrofit, re-opening of the California Tower, new lighting, expanded wifi, improvements at the San Diego Zoo and overdue maintenance in many areas. He said former Mayor Bob Filner is partly to blame for the Balboa Park committee’s failure by unduly raising expectations. “Ultimately the responsibility of that effort exceeded the abilities of the individuals involved,” Gloria said.